This advert is taken from a Worcester City Football Club programme from 1971 (collection of Andrew Smith). Blackpole is an industrial complex about a mile to the north of Worcester Shrub Hill station. There are premises on both sides of the Worcester to Birmingham railway line. During the First World War a Government owned munitions factory was built on both sides of the line. This was called Cartridge Factory No.3 and it was run by Kings Norton Metal Co Ltd. In December 1919 there was a large fire at Cadbury's Bournville factory that caused considerable damage. 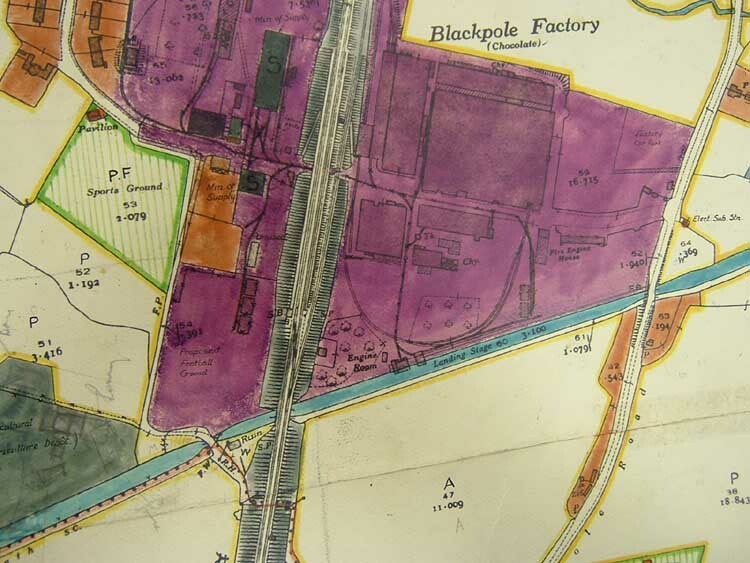 Whilst rebuilding work was undertaken there was an urgent need for additional factory space and in 1921 the firm bought the recently vacated Blackpole site. Although it was 22 miles from Bournville there was excellent communications as the Birmingham and Worcester canal passed both sites as did the railway. The timber yards and saw mills were transferred to Bournville in June 1922 followed by the tin store, tin stamping department and nut stores at which time around 450 people were employed on a site covering over 150 acres. The site was requisitioned by the Government in 1940 when it became R.O.F. Blackpole and the factory was used to make cartridge cases. The site returned to Cadbury Brothers Ltd in about August 1946 but both locomotives were soon moved elsewhere and for a period there were no known locomotives based here. The Peckett locomotive that had been supplied to the R.O.F. was sent to Cadbury's main factory at Bournville by 31st August 1946 but had returned to Blackpole by November 1953. Apart from a short period under repair at its makers (from about September 1956 to about June 1957) this locomotive remained here until replaced by a diesel locomotive in 1962. Rail traffic ceased altogether on 30th September 1967 and the last remaining locomotive was sold in January 1968, subsequently appearing at Underwood's at Droitwich. This map (courtesy of Kidderminster Library) show the site in the late 1920's with both the standard and narrow gauge systems marked on it and also buildings retained by the Ministry of Supply. 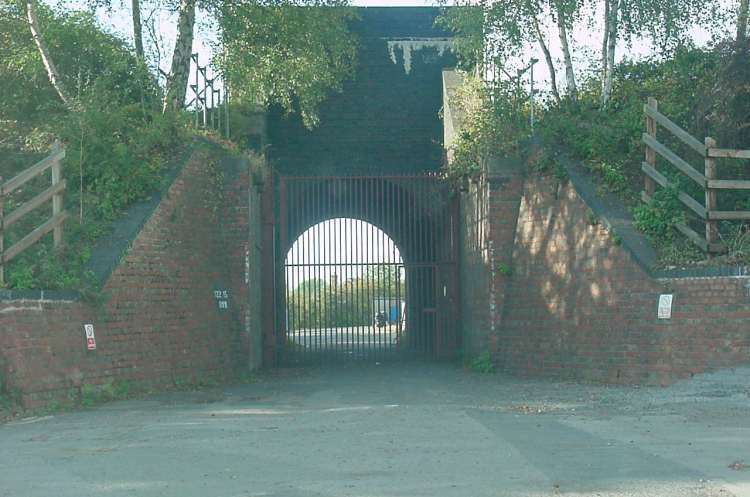 The site later became an now an industrial estate served only by road transport but plenty of evidence of the railway existed in 2004. This photograph that was taken by Andrew Smith on 19th October 2002 shows the remains of a part of the standard gauge siding. This diesel locomotive later worked at N.C.B.Droitwich (Underwood & Co Ltd). 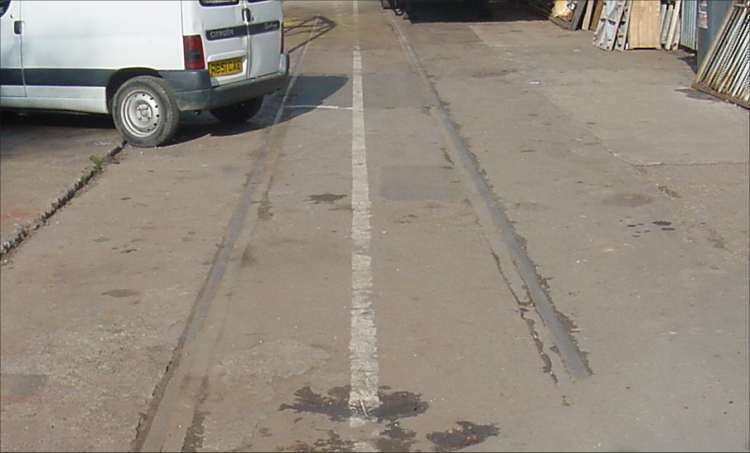 In addition to the standard gauge sidings the following photographs provide evidence that a narrow gauge line was also laid down around the site. 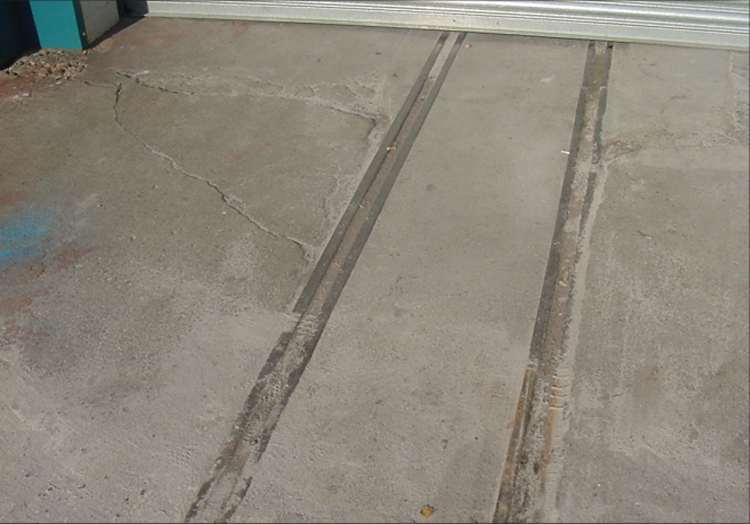 This narrow gauge track (measured at 2'0” gauge) emerges from a large building adjacent to Blackpole Halt. 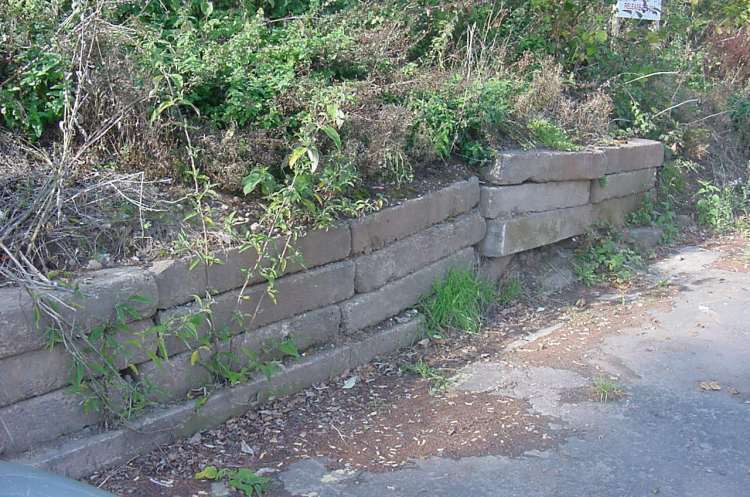 This pile of concrete sleepers has been used to form a retaining wall for the standard gauge siding from the site to the main line. The Cadbury site was situated on both sides of the Worcester to Droitwich line and the narrow gauge railway went through this small bridge. 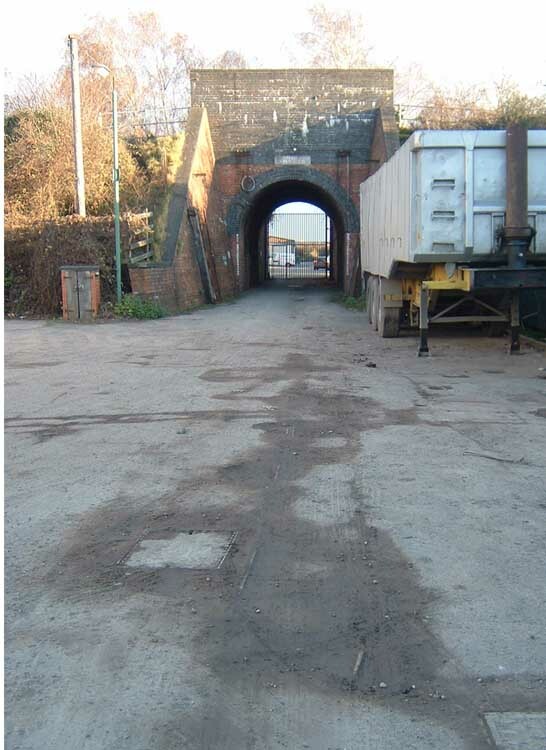 This is the west side of the site with remains of narrow gauge track in the foreground (photograph taken by Andrew Smith on 11th December 2004). It is known that Cadbury's owned a narrow gauge Motor Rail locomotive (No.2284 of 1924) and this locomotive might well have worked here as well as at Bournville It is known when the narrow gauge railway at Blackpole ceased to be used.